Sharing a bed with an infant significantly increases their risk of dying from sudden infant death syndrome (SIDS), according to a new study published online on May 20 in BMJ Open. Even if the parents are non-smokers and the mother did not abuse illegal drugs or drink alcohol before bedtime -- other risk factors for SIDS -- bed sharing still increased the risk of a child dying from SIDS more than five times. "The current messages saying that bed sharing is dangerous only if you or your partner are smokers, have been drinking alcohol or taking drugs that make you drowsy, are very tired or the baby is premature or of low-birth weight, are not effective," the authors wrote in the study, adding that doctors need to "take a more definitive stance against bed sharing for babies under three months". SIDS is when an infant unexpectedly dies when they are less than 1 years old with no obvious explanation for his or hear death. It is the leading cause of death among infants under 12 months and the third-leading cause of all infant deaths in the U.S., according to the Centers for Disease Control and Prevention. 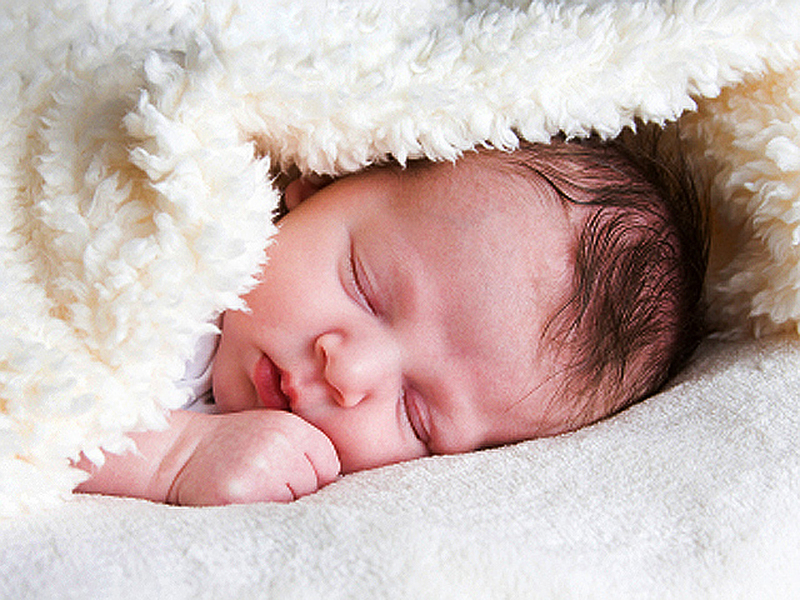 The CDC estimates that there are 4,200 SIDS deaths annually. Rates have declined more than 50 percent in the U.S. thanks to parents being advised to put sleeping infants in the supine position or on their backs, but rates are still disproportionately higher for non-Hispanic black and American Indian/Alaska Native infants, the CDC stated. Infant mortality rates on the decline in the U.S. Researchers looked at 1,472 SIDS cases and 4,679 infant controls from five published data sets from the U.K., Europe, Australia and Asia. They determined that 88 percent of SIDS deaths while bed sharing would not had happened if the parents didn't sleep in the same bed as the infant. Even for low-risk breast-fed babies who had no other risk factors that died from SIDS, 81 percent of the deaths of infants below three months of age could have been prevented if they were placed in their own bed. In 22.2 percent of cases, one parent or both parents were sleeping in the same bed as the child at the time of death. Only 9.6 parents in the control group shared a bed with their infant at the time they were interviewed. The risk of SIDS while bed sharing went down as the infant grew older, but other factors including if the parents were smokers or if the mother drank two or more units of alcohol within 24 hours or used illegal drugs, increased the risk. "We do not suggest that babies should not be brought into the parent's bed for comfort and feeding. This has been investigated in previous studies and has not been found to be a risk factor, provided the infant is returned to his or her own cot for sleep," they wrote. Dr. Rachel Moon, a pediatrician at Children's National Medical Center in Washington D.C. and chair of the American Academy of Pediatrics task force on SIDS, told LiveScience that this is an important study because it shows that sharing a bed is dangerous for a child. "Even if you do everything right, bed sharing increases a baby's risk," Moon said. Francine Bates, chief executive of the British baby charity, The Lullaby Trust, told WebMD Boots that the study shows that parents who choose to share a bed with their infants should be cautious. "We recognize that some parents will choose to sleep with their babies as opposed to placing them in a cot or a Moses basket next to their bed," she said. "The Lullaby Trust supports parental choice but we would also urge every new mother and father to weigh up the known risks of sharing a bed with their baby and, in light of their own situation, take appropriate precautions. Our core message remains that the safest place for a baby to sleep for the first six months is in a crib or cot in the same room as a parent or carer." The American Association of Pediatrics (AAP) advises parents to place sleeping infants on their back, put them to sleep on a firm surface, and put the child to sleep in the same room but not in the same bed. The academy also suggests keeping soft objects, loose bedding and anything a child can get trapped in or strangled by out of the crib.